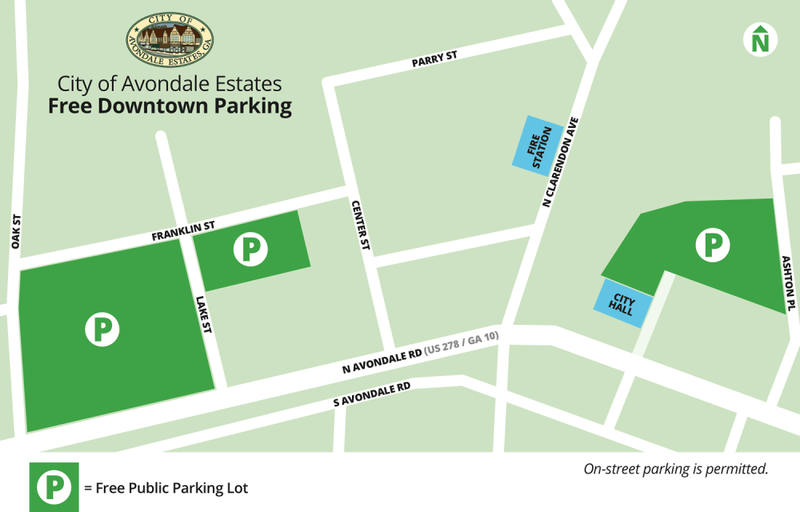 2) There is plenty of free parking in Avondale Estates. You can follow the signs for the free parking. Street parking is permited, but be considerate of the residents and businesses of Avondale Estates. Ubering is highly recommended. 3) Streets will be blocked off at the following points for the day of Avondale May Ham Fest (see the orange lines on the map below). Please plan accordingly. 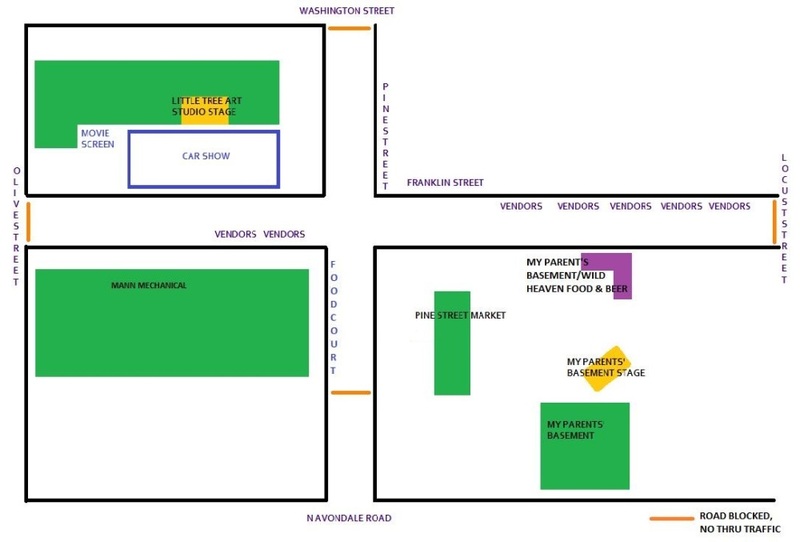 4) There is food and alcohol available for purchase during Avondale May Ham Fest. Outside food and alcohol are permitted, but we highly recommend trying some Wild Heaven beer and the great tastes of some of Avondale Estates finest fooderies! 5) Dogs are permitted...on a leash, for their safety! 6) Event will be held rain or shine. 7) Bring your camping chairs or blankets for greater comfort watching the bands and movies. 8) Canopies welcome in the movie screen area during day, but must be taken down before movies start. CANOPY WEIGHTS ARE REQUIRED!!! It will be first come, first serve on space.